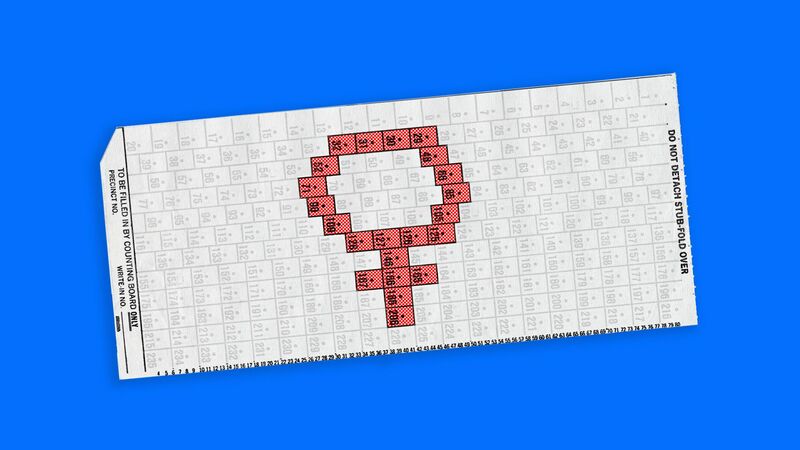 Primary races in eight states tonight will be the biggest test yet of whether 2018 is really the year of the woman. Alabama, Iowa, and New Mexico could all nominate Democratic women for governor. Some of California's competitive congressional races could advance two women. And New Mexico's Deb Haaland could be one step closer to becoming the first Native American congresswoman. Be smart: Women have over-performed in Democratic primaries by 15%, Cook Political Report's Dave Wasserman points out. The incumbent governors in Alabama, Iowa, and New Mexico are all Republican women. Each state's Democratic primary has a woman candidate, and there's a woman running in South Dakota's GOP primary for the state's open seat. New Mexico could elect the first Native American woman to the U.S. House if Deb Haaland makes it past tomorrow's primary and the November general election. Two women could make it to the general election in California's 45th district and potentially (though not likely) in the 49th district. There are Democratic women endorsed by EMILY's List in six other districts in the state. Iowa could advance two women in the first and third districts — both are endorsed by EMILY's List. Alabama's 2nd district could send its incumbent Republican Rep. Martha Roby home after seven years. She won in 2016 with less than 50% of the vote because she didn't support Trump after the "Access Hollywood" tape came out. Mikie Sherrill is leading the Democratic primary in New Jersey's 11th district. She's got the backing of the Democratic Congressional Campaign Committee, Joe Biden, Planned Parenthood and has raised $1.8M. One more thing: Don't ignore the GOP primary for U.S. Senate in Montana, where four Republicans are facing off to challenge incumbent Sen. Jon Tester, who became even more vulnerable after the president tweeted that Tester should resign. National Republican groups like Club for Growth have spent over $1.5 million for Matt Rosendale, and he's earned endorsements from conservative Sens. Ted Cruz, Rand Paul and Mike Lee. None of the Republican challengers are anything like Don Blankenship, who would have made it easier for a vulnerable Democrat to keep his seat.